Apple and Sour Cream Pancake stack! 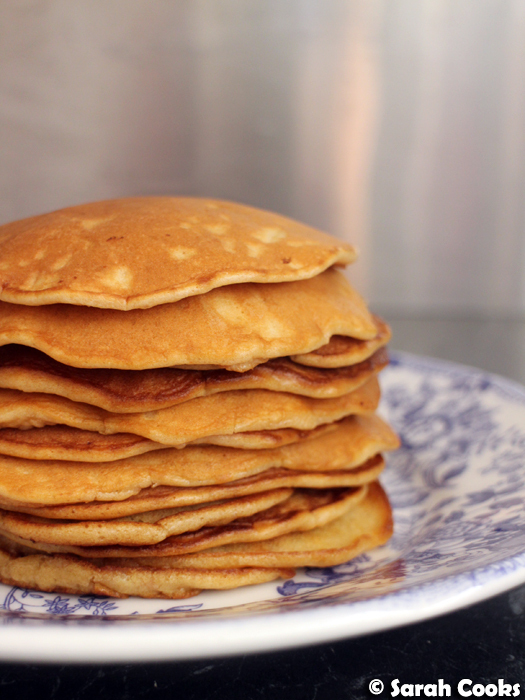 Pancake stack! Last weekend, I was having a lazy Sunday morning in bed and flicking through my phone, when I saw Smitten Kitchen's sour cream pancake recipe on Facebook. They looked amazing! I realised that I had all the ingredients, so I swiftly jumped out of bed, got busy in the kitchen and whipped up a batch. Yay! 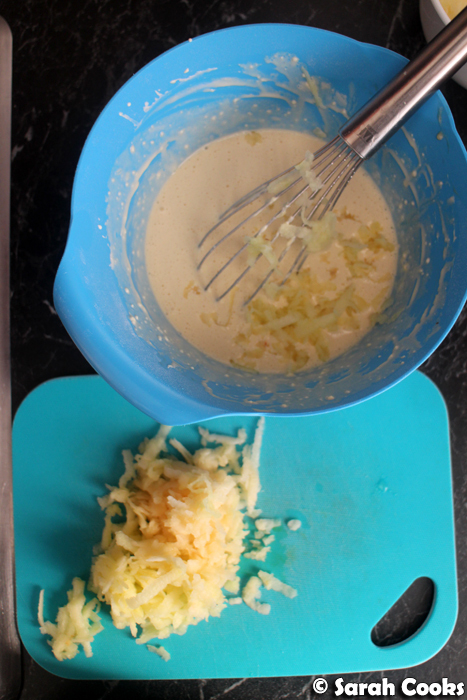 I changed these up by adding a couple of grated apples to the batter. 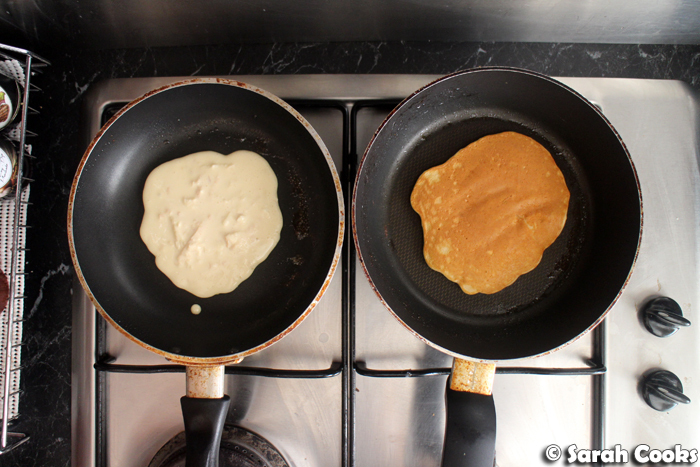 I always use two frypans so that I can get to my pancakes faster! There's only a small amount of flour in these pancakes, and a high proportion of sour cream and eggs, making the finished pancakes very soft and tender. Try to make sure they're cooked at least three quarters of the way through before you attempt to flip them so that they don't break up on you. 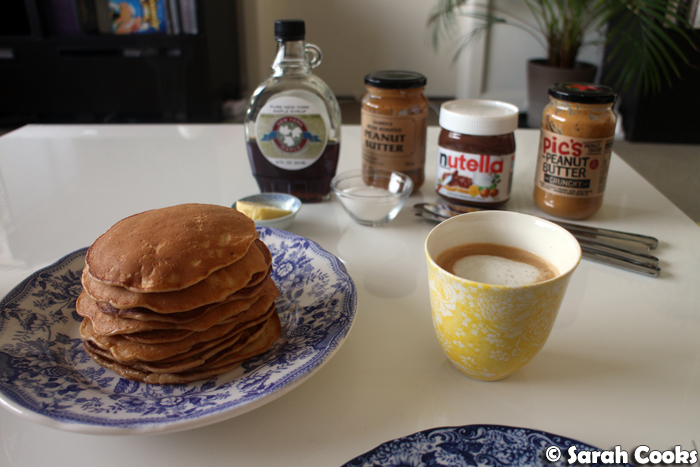 I put out all my favourite pancake fixings - maple syrup, peanut butter, nutella, butter and sugar - but I thought these were nicest with just butter and maple syrup. As I said above, the pancakes are super soft and tender. I love how squidgy they are! 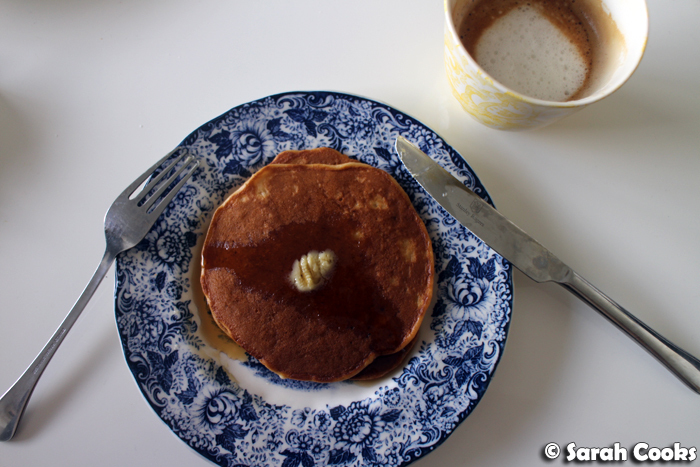 The sour cream in the pancakes gives them a lovely tang - super delicious! Place the flour, sugar, bicarb and salt in a bowl and whisk to combine. Add the sour cream and whisk gently to combine. (The mixture will be very thick). In a separate bowl, whisk together the eggs and vanilla, then pour into the flour-cream mixture and whisk gently to combine. Peel and grate the apples, then stir the grated apples into the pancake batter. Heat a non-stick frying pan over a medium heat and melt a little butter in it. Spoon a ladleful of the batter into the pan, and cook until golden brown underneath and bubbling on top. Flip over and cook for about a minute on the other side. Transfer to a plate, and cover with foil while you cook the rest of the batter. Serve with maple syrup, butter, anything you like!